Promote business ethics and entrepreneurship in Internet marketing Businesses. To this end we have created the following Rules & Regulations that all members have agreed to. This forum is made available for the Link Authority members only in order to provide a valuable resource for Link Authority members present all over the world. In order to keep this forum a valuable resource, we require all forum members to abide by the rules. Signatures must be limited to two lines. Failing to comply with these guidelines will result in the removal of the signature. Postings must be placed in the appropriate forum category and it must contain a descriptive subject line. Postings placed in inappropriate forum category will be considered off-topic and either moved or deleted. Non-descriptive titles and descriptions will be renamed. Linked and locked topics are pruned regularly. If you have a question about where a topic resides, please PM a Moderator before starting a new topic asking where it went or posting a duplicate thread of the original topic. Moderators are happy to provide a link to thread locations as well as explain the reasoning behind why a thread is locked and/or removed. 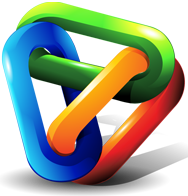 If you are linking to external content, you should link directly to that content. It is unacceptable to use link-thru systems to mask the originating URL. Cross-posting (posting the same content in multiple categories) is not tolerated. All duplicate posts will be deleted and post bumping is not permitted. Sensitive topics such as account information and security issues are not to be discussed in the forum. Topics that could compromise sensitive information or serve to potentially harm to Link Authority and/or Link Authority members will be deleted. If a thread is deleted by a moderator and the offending user attempts to re-post a similar thread, it is possible that the user will lose “member” privileges. Abusive behavior of any kind will not be tolerated and may result in the ban of the involved accounts. If you have experienced abusive behavior from a community member, please inform a Forum Moderator. If you feel a forum moderator is abusing forum rules or behaving unethically, please contact Administrator via PM. Thank you for visiting Link Authority Forums. We hope you enjoy your stay.